Build up those Ultra friends as fast as you can. The Pokémon Go Trainer battles allow you to battle, player-vs-player style, against friends, family, and other Pokémon GO fans. To get the most of it you will want to have lots of friends to play with. While you can play with anybody in your local vicinity, to battle your friends from a distance you will need to be Ultra friends and above. Becoming Ultra friends is a time-consuming process that, if you do it the standard way — by sending and receiving gifts once a day — will take you 30 days to complete. 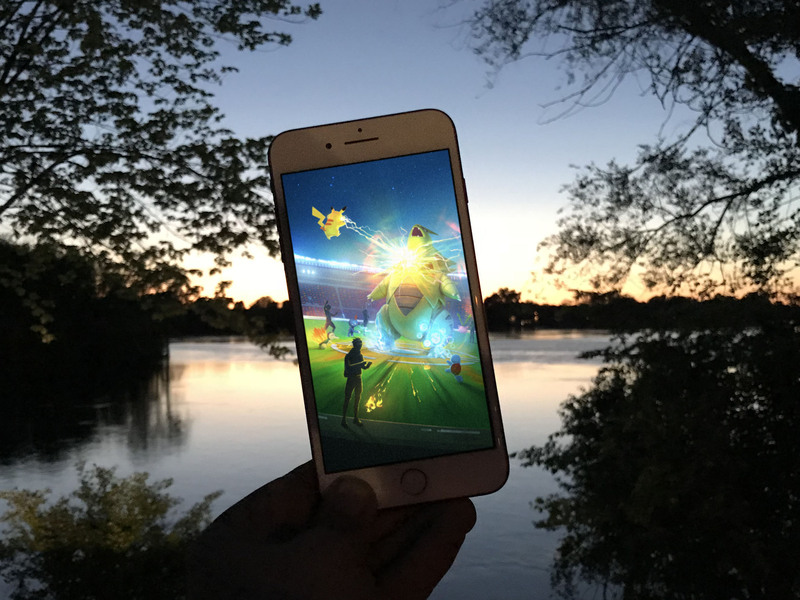 We have compiled the easiest ways to decrease that 30-day timescale to give you the best chance of battling your friends remotely and gain all the rewards that Pokémon Go has to offer. The giving of gifts to your buddies is the easiest way to boost your friendship level. You can use it once a day to send gifts to all of your friends and it will increase your friend score each day. As stated above this will take you 30 days to get to the Ultra friend level and you will need to spin Poké Stops to collect gifts —you can only hold 10 gifts at a time so if you have lots of friends you'll need to spin a lot of stops — but it is the tried and tested method. It is also the only way to be Ultra friends with your Poké Pals from across the world. I have plenty of friends back in the UK and sending gifts is the only way to increase our friend rating. Just by being diligent with giving and receiving gifts you will eventually reach the Ultra level and you and your friends will be able to battle remotely. The player battles are excellent in Pokémon Go and the reason for this article. They are also another way to increase your friend level with local players until you get to be Ultra friends. After that you won't need to be standing next to each other to fight, you can battle from the comfort of your own home. To increase your friend score through combat all you need to do is battle your friends at least once a day. By battling once a day you effectively reduce the time it takes to become Ultra friends by half, 15 days instead of 30, all the while racking up those prizes and getting in a lot of practice for when you start fighting in the leagues. The final way to increase your friend level quickly is to join together to battle in gyms and raids. Once per day, if you work together you can get a boost to your friend level with each person you are in a Raid or gym battle with. Of course, they have to be your friends to start with, so use your QR code to become friends before you battle. Obviously, this only works with friends you are close to locally but it has the advantage that it works in bulk. If six or your friends are in a raid with you then all 6 of those friends will receive a boost to their friend level. This means you can work together en masse to reach Ultra friend status and get to battling remotely from the comfort of your couch. If you do all three of these things, every day, you can dramatically reduce the time it takes to become Ultra friends in Pokemon Go. By doing two of these activities every day, you reduce the amount of time it takes to become Ultra friends to 15 days. By doing three of them every day, you reduce the amount of time it takes to become Ultra Friends to just 10 days. Now get out there and start making some friends! That's a huge saving of time and will get your fighting with your friends remotely in no time.